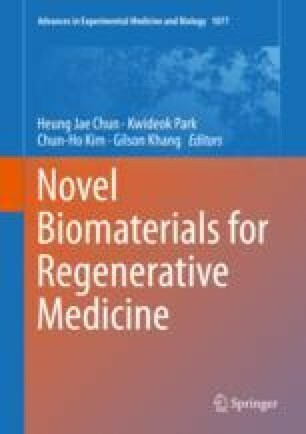 Naturally-derived biomaterials have been used for decades in multiple regenerative medicine applications. From the simplest cell microcarriers made of collagen or alginate, to highly complex decellularized whole-organ scaffolds, these biomaterials represent a class of substances that is usually first in choice at the time of electing a functional and useful biomaterial. Hence, in this chapter we describe the several naturally-derived biomaterials used in tissue engineering applications and their classification, based on composition. We will also describe some of the present uses of the generated tissues like drug discovery, developmental biology, bioprinting and transplantation. Authors Matthew Brovold, Joana I. Almeida, Iris Pla-Palacín, Pilar Sainz-Arnal and Natalia Sánchez-Romero have been equally contributed to this chapter. This work was supported by Gobierno de Aragón and Fondo Social Europeo through a predoctoral Fellowship DGA C066/2014 (P. S-A), Instituto de Salud Carlos III, through a predoctoral fellowship i-PFIS IFI15/00158 (I. P-P). N. S-R was supported by a POCTEFA/Refbio II research grant and FGJ Gobierno de Aragón. J.I.A was supported by Fundação para a Ciência e a Tecnologia (Portugal), through a predoctoral Fellowship SFRH/BD/116780/2016. PMB was supported with the project PI15/00563 from Instituto de Salud Carlos III, Spain.